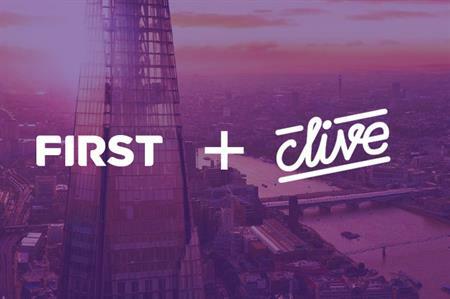 FIRST has announced the acquisition of London and Dublin based experiential live events agency Clive. The global events and experiential agency FIRST, which operates from offices in London, New York, Los Angeles and Singapore has not disclosed the terms of the deal. The acquisition means FIRST joins forces with Clive in the UK, 18 months after the successful integration of the Barkley Kalpak Agency (BKA) in the USA. Peter Godfrey, chairman of FIRST said: "We are really excited about the Clive team joining FIRST - they totally complement our existing capabilities, particularly in the area of experiential marketing and live leading edge events." "Clive has a unique creative culture, a talented team, and a passion for delivering fresh, inspired experiences worldwide for its clients. We share similar values, and are clear that our clients and our people are at the heart of our respective businesses." Founded as an events agency in London in 1996, FIRST specialises in the design of live events, while Clive helps brands to communicate live, 'engaging internal and external audiences' through creative live events and digital communication solutions. The agency, established in London in 2010, expanded to Dublin in 2017. Nick Robinson, managing director of Clive said: "We have great synergy with FIRST. "They have a complementary client base, great people, real ambition, and similar values. This exciting joining together of our teams gives us the opportunity to become part of a global event group." FIRST’s total workforce rises to approximately 250 employees worldwide following the purchase, of which approximately 100 are based in London.